Immerse yourself in a snow-capped mountain wonderland in Switzerland's serene Alpine setting. See the world-renowned Matterhorn, Switzerland's second-highest mountain at 4,478 m (14,962 ft) tall, or zoom down the mountains on toboggan, ski, or snowboard. In the warmer seasons hike around the rolling green hillsides covered with pine trees and picturesque aqua blue lakes. Luxurious cities dotted with cozy wooden chalets and colorful flowerbeds balance quaintness with first-class cultural offerings. Indulge in the country's opulence of milk chocolate, cheese fondue, and keg-carrying St. Bernard dogs. Switzerland is in Europe. 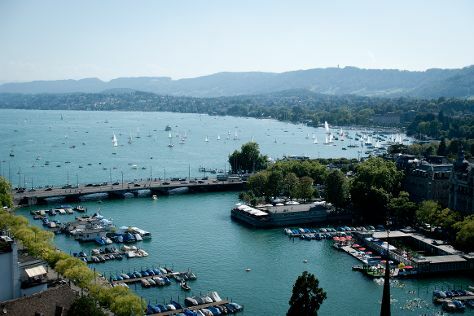 Add Switzerland and other destinations in Switzerland to your travel plans using our Switzerland trip planner.